In 2-quart saucepan, mix all ingredients except couscous. Heat to boiling over medium-high heat. Reduce heat; simmer 10 to 12 minutes, stirring occasionally, until bell pepper is tender and sauce is slightly thickened. Meanwhile, cook couscous as directed on package. Fluff couscous with fork. 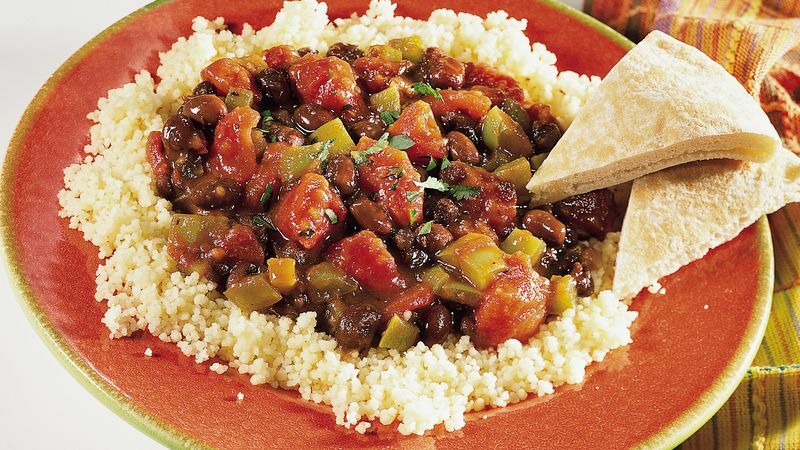 Serve black bean mixture over couscous. If desired, sprinkle with chopped fresh cilantro.